Here in the south, the African slave trade is such an integral part of most historic narratives that it’s hard to imagine touring a historic site without some mention of it. So I noticed when I heard nary a word about slaves during my New England sojourn. I know that slaves existed in New England, from the early 17th century, when colonists would enslave Native American prisoners-of-war, until the Civil War (“free states” as applied to the north turns out to be a misnomer). It didn’t exist to the extent – in population or influence – that it did in the south, but it did exist. 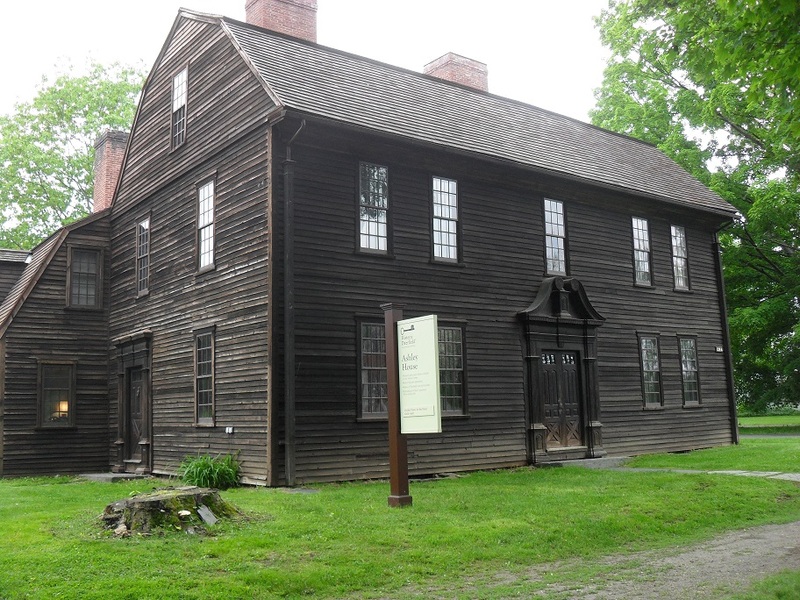 It wasn’t until well into my week in New England that I finally came across mention of enslaved Africans, at Historic Deerfield in Massachusetts. A docent at the one of the houses mentioned that the family owned several slaves. “But we didn’t call them slaves here in New England. We called them ‘servants for life.’” How’s that for denial. 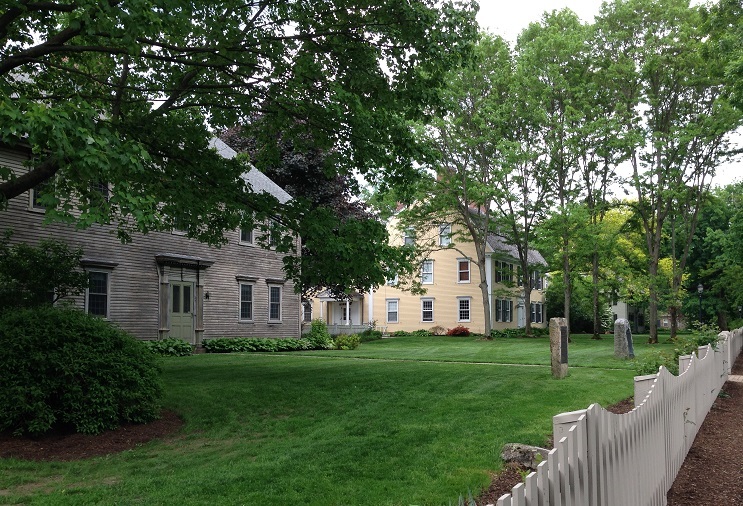 Historic Deerfield is a museum made up of 12 restored houses (that date from 1730 to 1850) and an exhibit hall dotting the one-mile long Main Street in Deerfield. It was founded by Henry and Helen Flynt, another two among the early 20th century rich (his family fortune came from construction and banking, hers from machine tool making) who created their own museum of early American life. Their story goes that in 1936, they enrolled their oldest son in Deerfield Academy (a posh prep school in the middle of town) and fell in love with Deerfield. Lobbied by the academy headmaster into the preservation cause, they began buying houses around the school, which is in the center of the historic part of town, until they owned much (but not all – most of the houses on the street are still privately owned) of Main Street. In 1952, those houses became a museum called Historic Deerfield. An interesting apologia from the pamphlet: slaves were considered family, but family in 18th century New England was not a unit held together by affection. They were held together by duty. Slaves generally lived in the same buildings as their masters, worked beside them, and were expected to actively participate in the community, including church. All family members were subject to the rule, under varying degrees of harshness, of a patriarch. While I’m sure life in 18th century New England was harsh for many, I’m not buying the “Sure, life sucked for slaves, but life sucked for everyone” argument. No one was selling the master’s children off. The only thing that I’ll give New Englanders is that there didn’t seem to be an institutionalization of an “Africans are inferior” line of thought. Slaves were expected to be as intellectually, emotionally and spiritually mature as anyone else – more akin to the Roman/Greek slavery than southern slavery. Historic Deerfield doesn’t allow photos in their houses. They’re getting the History Tourist treatment despite that (because I have a soft no interior photos/no blog rule) because they were unique among the dozen or so New England museums we visited in that their interpretation proactively (i.e. a docent mentioned it without being asked) included information about slaves. 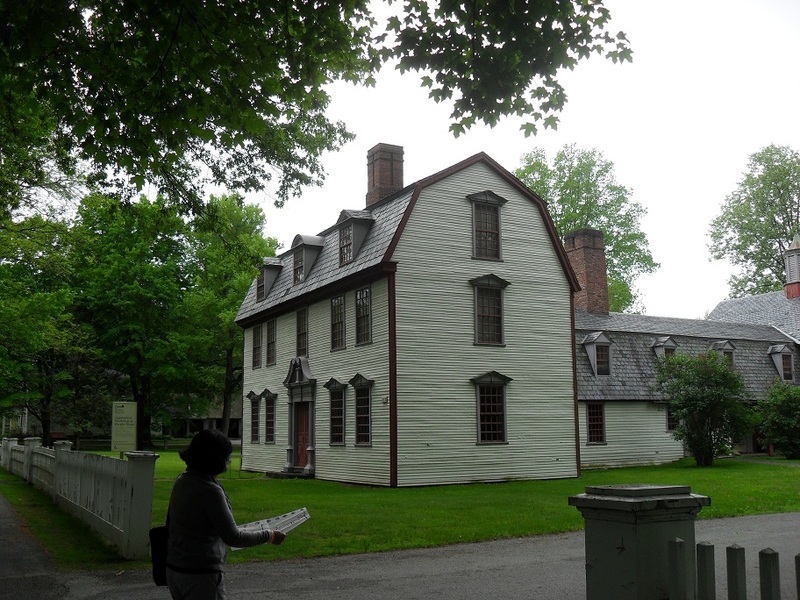 Gallery | This entry was posted in Massachusetts and tagged Helen Flynt, Henry Flynt, Historic Deerfield, slaves in New England. Bookmark the permalink. I’m wishy washy on the no photos thing. I’ll do a blog without interior photos if the place is interesting enough, or if they’re honest about why they don’t the photos taken. Don’t tell me flashless digital photography will damage objects when its not true. I definitely prefer to be able to take photos. They are a wonderful memory aid, helping me remember why I enjoyed a particular site and would like to go back! If they actually have a book with photos of every room, I will certainly buy that, but most of them don’t. And I don’t buy the photos will damage thing – but if they are worried about a lack of security and the possibility of being robbed, that I could understand. I have mixed feelings about the photos. I heard once that a vacationer can either take photos or enjoy the vacation, and I often feel that way. Not being able to take photos frees me from thinking about the blog and allows me to just enjoy the tour.